Make no mistake, I have been with the President since nearly the beginning, well before he was the Republican Presidential nominee. I wrote on the campaign trail that he was the leader who will take us forward and I still deeply believe that today. In the less than 24 hours since President’s Trump speech, there have been dozens of articles and opinion pieces touting that this is more of the same. They could not be more mistaken. They are overlooking the most important difference: President Donald J. Trump is the Commander in Chief. Our President’s decision reflects an understanding that the promise to Make America Great Again must include cleaning up the mess left behind in Afghanistan from the fits and starts of the past 15 years. The President does not have the luxury of starting from nothing, of beginning from scratch. There is no such thing as a clean slate. However, there is now the opportunity for fresh perspectives, new ideas and the outsider advantage. Over the past several months, I have been privileged to see and listen as the President has taken the time for counsel and to weigh different options for Afghanistan and the region. He has heard from his commanders in the field and, yes, he has listened to his Generals. I have heard him ask the tough questions and demand accountability from those responsible for leading our men and women in harm’s way. He has listened to strong recommendations from his National Security team and has engaged them in deep and thoughtful discussions. He has demanded a way forward placing primacy on the safety of America and her citizens. From the beginning, President Trump has sworn to put America First. Monday, he outlined a course that places us closer to that vision than ever before. The path forward is not more of the same. Through strength we seek a negotiated political settlement that protects our interests. We do not seek territorial conquest or occupation. We do not intend to create a government after our own image. We will not set arbitrary timelines. We will use our integrated military, political, and economic efforts to promote stability in the region. We will demand that nations ultimately provide for their own security. Those that harbor terrorist networks must eliminate them. We will fight those that threaten us wherever they may be. We will fight them at night, in the day, in their supposed sanctuaries. We will give them no rest nor will we grow weary. While our brave men and women in uniform are waging battle on the ground and from the air, President Trump will be using every diplomatic and economic tool at his disposal to bring about an end state that does not allow another country to become a breeding ground for radical Islamic terrorism. 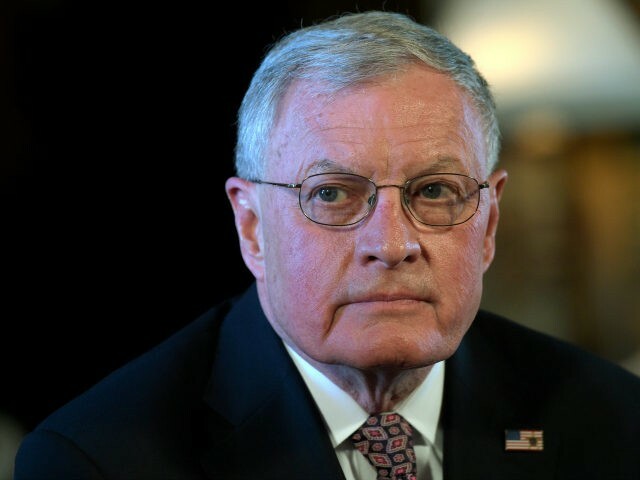 LTG (Ret) Keith Kellogg is Assistant to the President, Executive Secretary and Chief of Staff of the National Security Council. A highly decorated Vietnam War Veteran, he served over 30 years in the United States Army to include serving as Commanding General of the U.S. Army’s elite 82d Airborne Division and as the Director for Command, Control and Communications on the Pentagon’s Joint Staff. He joined the Trump Campaign as a National Security advisor in February of 2016.